Yes call us during office hours on Freephone Number 0800 731 9583 and we can provide you with a quotation and immediate cover over the phone. We are open 9am – 5pm Monday to Friday. Do I need to insure the base? The base or ‘serviced pitch’ is owned by the site owner and it is therefore the responsibility of the site owner to insure the base against, for example, subsidence or damage. Can I insure items away from the Home? Yes ‘Personal Possessions’ cover away from the home is an optional extra under our Residential Policy and extends to cover you anywhere in the world for up to 90 days. Up to 120 days unoccupancy allowed. Do you cover me for Vermin Damage? Does the policy include my contents? Yes you can choose what contents sums insured you require. Our minimum contents sums insured is £1,000. Reinstatement – New for Old (no age limit) of up to £500,000 or Indemnity – Market Value cover. Market Value is only available for older homes. Escape of water during the period 1st November to 1st April unless central heating is on a minimum of 10 degrees or water is turned off and drained down. Can you cover me if I live in my static caravan? No, static caravans are not built to be lived in as your main residence and hence the wear and tear and likelihood of damage is so much greater. You also have no cover under the Mobile Home Act 2013 and as such we would not encourage anyone to live in one by offering insurance cover. You should instead buy a mobile home on a registered mobile home park which we will of course be happy to insure. Recommend us to your friends. If they go on cover you’ll receive a £10 M&S voucher or £15 off your renewal premium. View full details of how you can pay for your insurance. Parksure 5 out of 5 based on 541 ratings. 541 user reviews. Thank you so much for your help, really appreciate it. "You have been so helpful and a pleasure to deal with." I’ve spoken to you several times and am happy to recommend you to the new owners of my holiday lodge as you’ve always been very kind and efficient. Many thanks for your quick response. Very helpful. You offer a lot more cover than our current provider. Just organised our Policy, fantastic service and an even better price! You were recommended to us by the Park and I have to say the whole process has been efficient and pain free. Thank you. Thank you for the prompt call it was very much appreciated. I’ve spoken to several insurance companies today and I have to say that you’re the most sensible and user friendly company I have spoken to. It’s an absolute pleasure to talk to you. Lots of us have gone to Parksure on very competitive prices and Barb is lovely. Thank you for sorting everything out for me, was not in the right frame of mind after my Dad passing away. Thank you for explaining the insurance requirements for a park home, never realised the legal implications or requirements involved, I feel so much better. Thank you for making it so simple to understand. Excellent, I will definitely be recommending you, can you send me any flyers to pass on! Calling to claim for damage to my cooker; you’ve been so helpful and so kind. I was really worried about it but you’ve put my mind at rest. I’m calling regarding my recent claim. Just wanted to say thank you, my claim was dealt with so quickly, I’m really pleased. I’ve been given your contact details by the Park Owner and having spoken to you now I can see why they recommend you guys – you’re so helpful and informative!! I’m very happy to insure with you and will certainly be recommending others to contact you as well. Many thanks! I’m very happy with the Quotation you provided me with as it saved me money and gave me better cover. So much so that I’m already recommending all my friends and neighbours contact you for a quote when their policies fall due. We are very grateful to you for your quick handling of the claim. My bathroom window was smashed by vandals/attempted theft over the weekend and I tell you what, you’ve been so helpful this morning, an absolute angel. That’s very nice of you to do that I’m very grateful, and makes us feel a bit better. Absolutely top service and much cheaper than your competitors – highly recommend. Thank you for making the quotation process so easy, you made it seem so simple and sorted the cover for my friend in 10 minutes so we have time for a coffee and a biscuit. You gave me some good advice the other day, brought my attention to the fact you cover boiler breakdown. I called the company to cancel the breakdown side & asked to change it to service only which they said they could not offer so I cancelled it. Lovely speaking to you and you have given me lovely valuable information & have saved me some money. Thank you I’m so grateful. Mr B Caney: Ringing to insure my Park Home. I’ve rung someone else before you, but to be honest they kept me on hold with some silly music and I got fed up of waiting. So I’ve rung you, and straight away you’ve picked up the phone and you’ve been so friendly and helpful and I’m happy with the price so I’m going to arrange my policy with you and not bother ringing anyone else.  Parksure: Thank you! We don’t have “on hold” music and we certainly wouldn’t keep you holding before taking the call. If none of us are available to speak to you straight away you will always get through to our answering service where you will speak to someone and not a pre-recorded message. They will take a message for us to call you back when one of us is free. We do this because you then have the reassurance that your message isn’t sat on a machine and in the event you were calling to make a claim, our answering service can point you to the right emergency number to call. Mr B Caney: That’s great, thank you. Mr Siddall: “No, they don’t that’s the reason I came back to you; because you include Boiler breakdown cover”. Thank you for getting back to me so quickly, you have been very efficient and friendly and made the process of insuring my home very pleasurable after a very stressful few days of sorting out moving. Thank you so much for arranging cover on my new static caravan, you’ve been really informative and helpful! And when my main home insurance is due I’ll certainly be looking to get a quote from your company for that reason! Truly grateful to you for your efficient, professional and friendly service you kindly gave us yesterday! Thank you very much for dealing with it all, much appreciated. Thank you very much for your help; it’s been a very good service. First time sorting out Park home Insurance and you have made it so easy, explained the cover that I need and gave me a really good quote. Many thanks for sending the policy document, and for your time explaining the details to me. The Home Emergency & Legal expenses Booklets sent with the quote were really clear and simple; any questions I have you’ve explained everything which re-assures me. That’s really reassuring and thank you for explaining this and your policy so fully for me. It’s certainly given me the confidence that my new home will be covered as it should be! Thanks for being so prompt; that's very good service. Thank you for being so helpful – you’re a star. Thank you so much for your help and support today. It’s a shame more people are not like you. You treated me with respect and understanding and this was very much appreciated. Thank you, you have been very, very helpful. Thank you. You have made everything very simple. Thanks again for the phone calls on Friday, you were both friendly & helpful..thanks again. Thank you for the way you have handled the call. I truly appreciate it and the level of service. Thank you. You’ve given me the answers I was looking for and the reassurance in spades! Thank you so much, you’ve been really helpful as I’ve never had to make a claim before and I wasn’t sure of the process. I have to say you do have a lovely accent, my wife is from the west country & has family in the Forest of Dean, it’s better when someone has an accent as you know you are speaking to a real person, rather than someone who put’s on a telephone voice. Thank you for explaining this, you obviously know your job! I’ve just taken out a policy with you and I’d just like to commend you on your efficiency in providing me with a quotation and issuing the new documents. You’re much better than the other companies I’ve contacted. I’m just calling today to say how delighted I am at the handling of my recent claim. Very many thanks for your prompt assistance. Customer service is good; that why I insure with you. It’s good that someone has explained everything very clearly as we wouldn’t have known we’d of been underinsured, you have been a great help. Thank you for arranging the cover for us. We are happy with the cover provided and the price. I want to take this opportunity to say thank you for your professional phone conversation and your quick response in sending the information via email. I just wanted to say thank you for the fantastic Claims service I’ve received. I’d locked myself out of my home, I rang the Home Emergency Claim Number and received a call out within a very short space of time. The gentleman attending was so lovely and helpful and had me back in my home within moments. What a fantastic service! Thank you so much! I recently claimed for damage to my mobile phone, I am delighted with the outcome, the way you have arranged the whole transaction is commendable and I will be only too happy to recommend to others, after all experience is always a good reference. Once again I thank you. I’m ringing to insure my Park Home and must I say I’m so relieved to hear a proper voice and not an automated service where I have to press so many buttons before I can speak to anyone. Thank you so much for putting my mind at rest, you’ve been smashing. I Recently made a claim under my policy where I’d spilt paint on the carpet and from start to finish the claim was handled in a very professional manner. Thanks again. Thank you for your prompt response to my online quote request. You’re cheaper than my existing insurer so I’ll look through everything on the email confirmation you’re sending me and then I will almost certainly transfer to yourselves. Thank you, you have explained everything very clearly. THANK YOU for your prompt reply and recent telephone conversation. I’m so sorry I could have possibly missed an e-mail but as I told you life has been very hit & miss of late what with my bereavement however thanks again & will be in touch. Thank you. You’ve been very very helpful at explaining the boiler breakdown cover to me. Many thanks really appreciate your help. Thank you for being so prompt with sending the quote through. Thank you so much for explaining everything to me, I’d got really confused and you’ve been really helpful, I really appreciate it. Thank you. Thank you for your help, you’ve been really helpful. I wanted to insure the caravan I’ve just bought on a market value basis but when I realised the cost to insure on a replacement basis was less than £50 more and it was explained that if the caravan was completely destroyed and I was insured on a market value basis I would only get a caravan of a similar age and condition rather than a brand new one, the decision was made – better to insure on a replacement basis! Thanks for calling back and explaining everything, I know more information now than when I started doing this on behalf of my brother. Thank you for being so clear and precise and speaking English. Please tell your manager I am very impressed with your service. Thanks you for being so straight forward with everything. Thank you, you’ve been very helpful indeed. My Neighbour has just rang me to tell me she's taken out cover with you on my recommendation; you're so efficient in telling me that I get my M&S voucher for doing so! Thank you for your understanding and guidance on this matter. You have a lovely accent. Where are you from? The West Country? Thank you for your quote. I must say I found your competitor ..... quite pushy; I also wasn't impressed with .... or .... and I don't think I'll even receive the quotes off them? Thank you very much for your help; you've been most helpful and have put my mind at rest. I appreciate everything you have done for us. you have been most helpful. You have been incredibly helpful and appreciate your call back to sort the quote for me. Thank you very much, you have made my day. I appreciate your very speedy response. You are an absolute star, that is excellent, excellent service, I am really impressed how quickly my claim has been dealt with. I am impressed that you send the policy out with the quote to show what your cover is. that is why I went on cover with you. 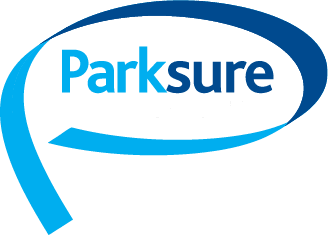 I am very impressed with Parksure and with how happy and pleasant you sound. Thank you for your prompt response, you have made things every clear & thank you for the reassurance. Many Thanks for your timely reminder & may we wish you & your staff a Merry Christmas. Thank you very much you have made my Christmas. Thank you for all your help you have explained everything very well. Thank you for your time and fast response to my enquiry. You have been most helpful. I can go on holiday happy. Your mailshot letter was excellent as it outlays the cover you offer. You have been very informative and prompt. I am very happy with the level of service you give and you sound like a pleasant and happy girl. You have been very helpful and informative. Thank you for all your help, you have been very efficient. I will definitely insure with you, I am impressed with the service you give, going over and above what you would expect. I am happy to go ahead with the quote. you have been very helpful thank you. Thank you for your email and attachments that were very helpful for the information contained in them. Thank you so much for your help & assistance. You have been very good. Nice to speak to someone who knows what they're talking about. Thank you for your help. You have been very kind in explaining everything. It is been a pleasure dealing with you. I would like to meet you some day and buy you a coffee – thank you so much for all your help! Many thanks for your excellent response. I was going to shop around but I am not going to now as you have been absolutely fantastic. You have been most helpful and managed to put my mind at ease. Thanks again for your assistance and excellent customer service. Thank you for your great great service. I won't be looking at any other quotes because this one is excellent and is just what I need. You have explained it all very well. I am impressed with how quickly you corresponded with me. your email and documentation is very easy to follow and understand. You are very efficient and quick. Thanking you for your kind assistance in this matter. Lovely, thank you very much for all your efforts in this matter. I want to renew as you have been great answering my all my questions and I am very happy with how my claims have been dealt with. You have been so so kind and so very helpful, thank you and bless you. Thank you so much for your kindness - it meant a lot when I was at my wits end! Your help proved invaluable - we now have insurance thanks to you. Thank you, you have been a great help. You sound nice and seem genuine and know what you are talking about so I will arrange cover with you. Thank you for explaining how it all works between the Loss Adjuster and Insurance Company, you have been very good. We will do our upmost to get Parksure some new customers. you will be highly recommended. Bless you, thank you very much for calling me back so promptly and all your help and advice. That is lovely, that is very good! Your website is one of the best I have looked at and you have also helped in a straight forward manner and answered all my questions. you are wonderful! You are a little darling. It is really kind of you to ring to remind me of the renewal as I could have been without cover. I am really pleased with wining the competition and really, really, really pleased with my Lodge Insurance as you have saved me £50 which to me is a lot and reading through the policy, it is actually better insurance than the others. When you dealt with my claim for my bike it was dealt with very quickly & promptly. you are marvellous. That is brilliant. You have been very thorough and fantastic. I will say It is an absolute pleasure to phone a number and speak to a person rather than being put into a queue. Have a nice day! Yours is the better quote of the two I have had, and a much better telephone conversation too. You have been very helpful. I will recommend you to my neighbours. Thank you so much this is so much better for me. I am very grateful for your help, It is been a pleasure speaking to you. You have been very helpful. you have explained everything I wanted to know and have given me some good advice. Thank you. That was the best quote so far. Thank you for pointing out the fact Ive been insured on the wrong basis all these years. Ill take my policy out with you. I like dealing with Parksure as I can have a laugh and feel comfortable in talking to you. I would like to arrange cover as the service you have provided is way above the other companies I have spoken to. I have just checked with my Wife and we are not going to look around for other quotes. we'll go ahead with your quote please you have been really helpful, thank you very much. You have been very helpful and kind. Thank you for your prompt claims service. Thanks very much, you have been very helpful and I really appreciate everything you did for me, phoning me back promptly. I was very impressed with the quick call back and appreciate the thorough quote. Thank you ever so much, you have been very helpful"
Thanks for your prompt and very informative response. That is fabulous. Absolutely brilliant. You have been very, very helpful. I will definitely insure with you as I am very impressed with your service. I am extremely impressed with the quick turnaround and how efficiently the claim has been dealt with. You put other Insurance Companies to shame. You have been very helpful in talking through everything and making sure I understood it all. Thanks very much, you have been very helpful. You have been very, very informative and very patient, and explained everything that I needed to know. Thank you for drawing my attention to that, very professional. Thank you for the cheque. I also appreciate the quick and efficient way you dealt with this claim. I really enjoyed myself in Parksure and was very impressed with the way you dealt with people on the phone. Thank you for your help and recommendations that was very kind of you. Thank you for your help. you have been brilliant. You have been very helpful. thank you very much for your advice. Cheque arrived this am. Thanks for wonderful quick service, much appreciated. Thanks for coming back so promptly. Thanks for your advice, you have been really helpful. May we take this opportunity to say thank you for your help and prompt response to this claim. We were very impressed. I have never been so impressed with the service I have received. you have been brilliant. Thank you as there is happiness all round and I would recommend anyone to you if they were looking for Park Home Insurance. you are a darling, you really are. Seeing as you have been so good, yes I would like to renew the policy. Thanks for the service I received. Very quick. Thank you very much for explaining everything to me, you have been very helpful and informative. Thank you for all your help and for bearing with me. I am very impressed with your knowledge and efficiency and how you managed to give me so much info and advice in 10 minutes. Thank you for all your help in dealing with this claim. Thank you for the efficient service in the way the claim has been dealt with. I will be recommending you to others. Thank you very much that is absolutely brilliant. You have been brilliant and gone the extra mile to help Mrs Pike. That is brilliant, absolutely brilliant. Thank you for the insight, I feel I know everything there is to know about Park Home Insurance. You have been very friendly and prompt in sorting out my query. Thank you very much indeed for your efficiency and promptness in sending the new documents which I have printed off. It was a pleasure to talk to you yesterday. you could not have been more helpful or understanding! You could not have been more helpful. Best price I have had so far, brilliant. Thank you. Really appreciate you have been so patient. Thanks for doing that for me. As ever, the staff at Parksure are a delight to deal with. Thank you very much . and thank you for making it so easy. Thank you for prompt and efficient service and for sending my schedule by e-mail to me. Can I take this opportunity to say how patient, kind and fantastic you have been in dealing with this claim promptly for me. Thank you very much – you have been very helpful. that is reassuring. Have a nice Christmas! You have been very helpful and thorough in explaining the policy to me. You have been very helpful and very knowledgeable. Thank you very much in explaining in detail the two ways of insuring a static caravan and how the cover works. Can I just say It is really nice to speak to you guys because you are really good. Your colleague the other day was really helpful and nice too. Thank you very much. I cant tell you how happy I am that this has been sorted out in one day .you have made me feel good today. It was a pleasure to talk to you. Can we put your information on our Residents Association website. you have been brilliant. you have been lovely. In a good way I was astonished how quickly I got through to you & nice to speak to a real person. I cannot thank you enough. you have been brilliant. Thank you for your time and effort in sorting the claim out for me. I appreciate all your help as I have never had to claim for anything before. Thank you very much for our efficient service & communication you have given me throughout the time I have been on cover. you have covered it all. you have been very thorough. You have been very informative in explaining Park Home Insurance to me & that has made me feel very comfortable. Thank you very much indeed for following this up. It is lovely to speak to someone who listens and is able to explain things to me. Thank you for all your help whilst I have been on cover. You have been very helpful. Thank you for getting back so promptly. that is very efficient of you. I appreciate that. Thank you for your prompt and positive reply. you are an absolute angel. thank you very very much. Thank you very very much. Thank you for all your help with this. You have been very helpful in explaining and arranging cover for me. Thank you for all your help and thank you for being so patient. It is really hard for someone like me and you have helped give me the confidence to do this on my own, instead of relying on a friend to help. Thank you so much. Thank you very much for all your help in this matter. Thanks very much for all your help, I really do appreciate it. Thank you very much for your prompt payment. I am so pleased that I can now replace my broken sink. I am very pleased with the service. Very efficient. that is brilliant, you have been more helpful than anyone else I have spoken to today. Thank you for your help. You are very kind and helpful and I really appreciate you explaining everything to me. You have been very helpful and saved me a lot of time by offering a great service. Thank you very much for all you have done. you have been very helpful. you have been very helpful as ever. 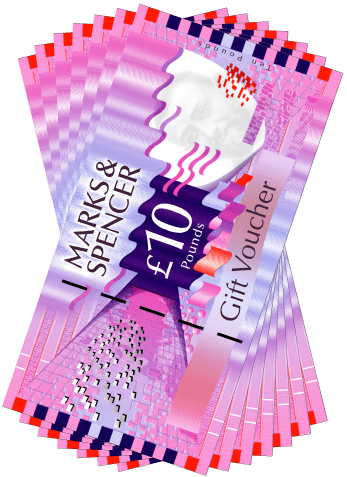 Thank you very much for the M&S vouchers for recommending a friend. Thank you for the prompt, no hassle service. It was a pleasure doing business. I would also like to thank you for all the good work your staff do with my insurances. I appreciate the good service very much. especially the reliable and efficient processing. Thanks for all your help - look forward to receiving the documents in the post. Thank you for your help. You have been very helpful and informative. On my mothers behalf, can I thank you. with which she has been more than happy. a situation most other companies were not prepared to do. This gave my mother (now 91 years old) tremendous peace of mind in the later years of her ability to live independently. I am sorry she cannot write to you in person. but I can assure you, these comments are what she feels. Thank you for your help. You have been very helpful and thorough and sorted things out for me very quickly. Thank you for being so thorough and efficient. I am very Impressed. we are quite happy with what you do. brilliant. I appreciate your help. You have been most helpful. Many thanks for your helpful and speedy response. Whomever I speak to when I call is always very helpful. you are nice to talk to, you and the team there. Thank you for coming back to me so promptly, I really do appreciate that. Unlike the others who haven't phoned me back yet. Finally, can I say how appreciative I was of the claims service provided by yourself and Ecclesiastical. I am very impressed with the service I have received from you and will look to do my other insurances with you to. I am very happy. the way the claim has been dealt with was amazing. I will be renewing with you in July. Thank you for being so kind about this. I am very impressed with the quote and service I have received. That is absolutely brilliant, thank you very much. Thank you for explaining the cover and for all your help in arranging it for me. Thank you for your help and I hope that everyone else is as satisfied as we are. Thank you for your help. I appreciate your call and the time you have taken to explain everything to me. So you are new to the job. you have been very helpful. Very pleasant. Thank you for your help. You are very kind to explain everything to me so I am fully aware before I make my decision. You are a lovely girl. Thank you for your help. You are brilliant. I remember speaking to you in the past and you are always very helpful and friendly. Thank you for your help and for coming back to me so quickly. you have put my mind at rest. Thank you for giving me some helpful advice. You are an angel and a pleasure to speak to. Absolutely Brilliant, thank you so much for sorting the problem out. You have given very good service. you have been so efficient. He'll sleep well tonight. I would like to thank you for your prompt attendance to this claim. You have been the most helpful of the 3 companies that have quoted for me and the most accurate. Very good. Thanks so much for your help. It is a brilliant quote. Thank you very much for all your help in making this happen so quickly. Thank you for all your work on this policy. Thank you for checking up to see how things were going with our claim. I spoke to a different company in December for a quote. It is actually nice to speak to someone friendly for a change. Thank you for all your help. I am much obliged for all you have done. It was very good of you to call about my claims cheque. Thank you, I do appreciate it. Thank you for your help. You have made me feel much better now. You have been very understanding and kind, putting my mind at rest. May we take this opportunity to thank you for the way this claim has been handled - professionally and swiftly. Thank you for your help with this, and your prompt and efficient response in what I know will have been a very busy time for you. It is appreciated. Thank you for being most helpful and efficient in sorting out my claim. It is nice to be insured with someone that cares. You are brilliant and I really appreciate it. Thank you for your help. It is very nice to speak to a friendly voice. You have been really, really helpful explaining all about park home insurance cover as I am new to it. After the recent storms which created so much havoc in this area, I would like to thank whoever phoned here from your office and enquired after the health of self and wife, and also advising that a claim form would be sent. I have to say that I was quite surprised and pleased at the response Parksure showed on this occasion. Quite unusual in this day and age to get such a degree of customer care. Once again, thanks. You have been very helpful in trying to help me out. I am really happy with how you dealt with our claim. Thank you for your help. you have made the process uncomplicated and easy to understand, which has taken the stress away as I was dreading ringing around for quotes. You are a star and I really appreciate your help. You have been a darling star to sort this out for us at such a stressful time. Thank you for your helpful advice. It is was nice to speak to someone who takes the time to explain things thoroughly. Thank you for your professional quote. You were lovely to speak to. Thank you for your help. You are very lovely and helpful. Appreciate your support on this. Now I have beautiful, insured lodge. You have been so helpful, thank you. Thank you for being so prompt in calling me back. It is refreshing to talk to someone direct who can answer all the questions I have asked regarding Park Home Insurance and can give me the answers with confidence of their knowledge of the cover they sell. I am always impressed with your efficient service. You have been very efficient and very helpful. I am very impressed with your customer service. I am happy with the premium you have quoted and I wont be looking at anyone else to quote for me. You were very helpful & informative. Thank you for sending the quote out so quickly. Thank you for the quote. you are helpful, lovely and very professional. It is a pleasure doing business with you as you have been very kind to me. I am pleased with the way you handled my claim earlier this year. You have been very helpful and easy to talk to and if your calls are recorded I would score you 10 out of 10. Thank you for being so helpful and looking at it for my mother. You have explained everything so clearly I understood everything. You have a very efficient set up in the way you deal with your claims. Thank you for your help. Thank you for your patience and for explaining the letters I have received from the direct debit company. Thank you for your help. You are kind to take the time to explain everything to me. I have found it very helpful. Thank you for your quick response and for giving me the good service I am used to from you. You have been very helpful and explained everything to me clearly so I understand it now. It was refreshing to talk to someone without feeling rushed and who understood about Park Home Insurance. You have been a great help in sorting out my policy for me. You are wonderful! Very helpful and patient. Thank you for your explanation. You are very helpful and thank you for the claims service I have received. Both you and your company have been a pleasure to deal with at every contact point. The best service I have had from anywhere in a long time. You have a very good manner and are well focused. I like the way you operate. You explained everything to me clearly and were very polite. Thank you for your help. You have been absolutely brilliant. I can honestly say I have never been consulted on the choice of décor where I have worked before – I guess that is part of what makes Cass Stephens (Parksures Parent Company) a bit different. Thank you for being so helpful and understanding. Thank you so much for your kind help and attention today. I look forward to receiving my policy . and hope to have many years service with Parksure in the future. Once again thank you for the excellent telephone manner and help you gave me. Thank you for a very efficient and friendly service. Thank you for dealing with my claim so brilliantly. Thank you for your help. it was lovely to speak to you. You have made this go really easy. I had expected it to be harder to sort out. Thank you for all your help on Friday. You have been very helpful and thorough. Thank you for all your help with the claim and in explaining it all to me. You are very helpful and kind. I was intending to shop around but as you have taken the time to explain the cover to me and been really nice, I want to have my policy with you. I wanted to thank you for your kindness and care of us during our claim. You were there all the time, which was so helpful and not always found in business. Thank you for dealing with it efficiently, wishing you and the company a Happy Xmas and prosperous New Year. Thank you for phoning me to let me know about my claim settlement. I really appreciate how you dealt with the claim for me. You have been very helpful and lovely. I thank you for your help. Thank you for your very professional and quick service. Now I have found you, I don't want to lose you! You have been very helpful in sorting things out for me so quickly. You are very patient and understanding and I am very grateful for your help. We are very impressed by your immediate, clear and helpful reply. we cannot recall ever receiving such efficient service from any other company. Very well done . we hope your boss appreciates you!! The lady I spoke to was well mannered and polite. a distinct (difference) from other brokers. Thank you for your help and prompt attention. You have been very, very helpful and kind, taking the time to explain everything to me. Thank you for your prompt reply to our request for Insuring the above Holiday Home. Thanking you for your efficiency. This is brilliant! You have made my day. This is why I come back every year. I appreciate everything you have done for me. I am glad my friend (Mrs M Lambert) recommended you, as you are great. I have told my friend you are excellent and she is going to insure with you next year. Thank you very much for the £15 off my renewal for recommending a friend. It was very much appreciated. You have been brilliant and very helpful in explaining what I have to put in an email to you. I am very impressed and you have been very thorough. You have been very helpful and have a full knowledge of what I require. Thank you for arranging cover staright away. Thank you. You have been very helpful and nice to deal with. Give yourself a pat on the back. I am very pleased and the details have been handled very well from the start of the quote to going on cover. You are a very good sales lady. You are very polite and friendly. You have been brilliant and I am very happy with that quote. Thank you again, you have been super. Thank you for your support over the years. Good health and best of luck to you and all the team at Parksure. Thank you very much. You have been very good. Thank you so much for arranging another cheque for us, we are so pleased. It has in fact arrived today. we cannot believe how quickly it has got here. You have been very helpful in this matter and look forward to receiving my settlement cheque for my new hearing aids. Thank you very much for your help. You have been fantastic. Thank you for sorting my claim out. Very impressed with Parksure's attention to the claim - despite delays at this end! Bless you and thank you very much for explaining it all as my husband used to deal with all this. Very swift and efficient service. It is good that you take the time to explain things throughly and don't try and rip people off. Thank you. You have been very helpful and you have put my mind at ease. Thank you very much. I may say I have always found your staff to be very courteous and helpful when I have occasion to telephone. Thank you for your call to make sure I was alright. Your quotation is extremely good compared to the other Insurance Companies I have called. Thank you very much for looking into this for me. I am very grateful that you look after your existing customers. You are very kind and helpful. Thank you very much. You have done a really good job. I was impressed with your prompt service in getting all the information out with the quotation and your call back service to make sure I received it. Thank you for giving me the opportunity to do work experience with you. I have enjoyed myself and I have learnt a lot, in the short time I have been with you. You have been very helpful in explaining the claims proceedure to me. Thank you for your help. Thank you. You have been very helpful and patient with me. Thank you for the opportunity you have given me to find out what is involved in working at an Insurance Company. Thank you also for the time and effort you have devoted to me. Everyone seem happy, enjoyed working in the Parksure department, everyone was so welcoming. I would like to thank you once again for having me on work experince. Many thanks for your assistance over the past years. Thank you for your help. You have been very kind and helpful. Thank you for your advice. You have been informative and a lot friendlier than your competitors. Many Thanks for your kind help in handling the claim for the damage to my holiday caravan. Keep up the good work. I give you 10 out of 10 for promptness of claim service. Thank you very much for your prompt reply, quite remarkable service. Many thanks. I cannot remember the last time we had such good service. Thank you for your speedy and efficient attention. I would like to convey my thanks to the Claims Office, for taking the time to explain the cover to me. Thank you for the quick response to my claim. Thank you for your kind attention and assistance. We are pleased that our claim was dealt with so promptly and efficiently, thank you for your personal input.